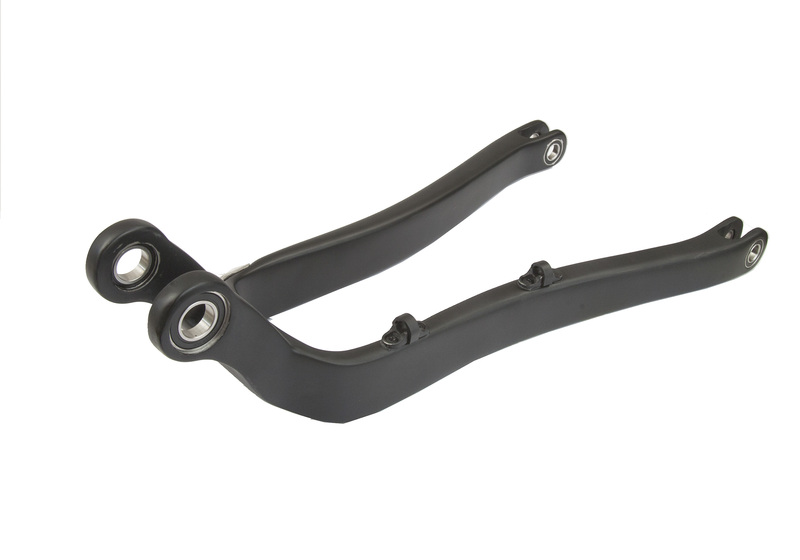 Fits the 2007-2010 black PR6XC alloy and carbon full suspension frame and the 2010-2015 brushed alloy PR6XC. Will allow you to ride 27,5 up to 2,4 tire width. Well tested for the above frame - offering a really good 27,5 riding experience. Fits with existing pivot, bolts and bearings. Full black UD-mat carbon finish will match any frame.